In my Etsy shop you can find examples of my work designed in various manners and styles. I decided to open my gallery on Etsy to break the physical geographical barriers, so my studio doors are open to anybody in our small world. I create new paintings all the time, so signup for the updates and you will see new additions as soon as they get out. 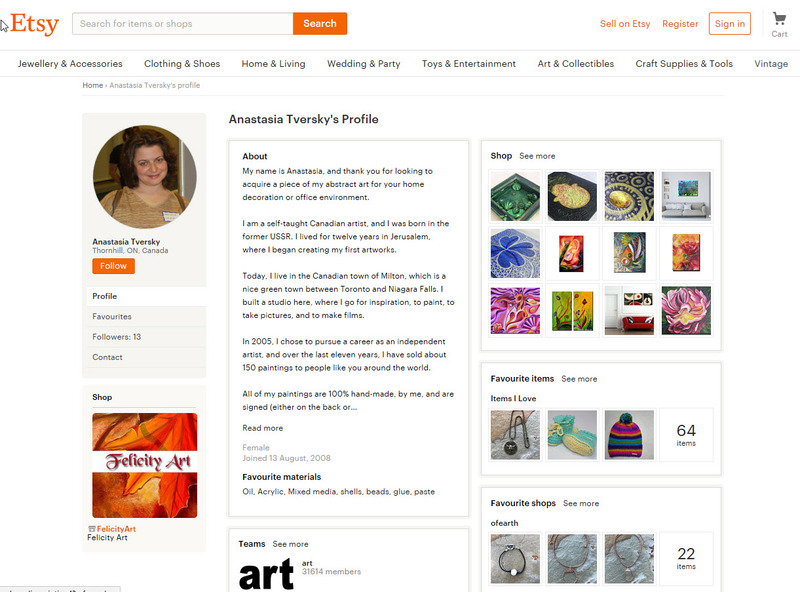 I used to sell my works on eBay, but recently decided to concentrate on Etsy, as it is more art-oriented platform.